96 participants from various Dzongkhags are attending training on Climate Smart Vegetable & Dairy Production from 10th April 2019. The training aims to impart necessary knowledge and skills on Climate Smart Vegetable and Dairy production practices through mixed mode such as lectures, assignments, group work, hands-on demonstration and practice. The Dairy production trainees will be attached to the farm unit in divided groups and made to observe the various processes of a typical dairy farm, hygienic practices of milking and production record keeping. 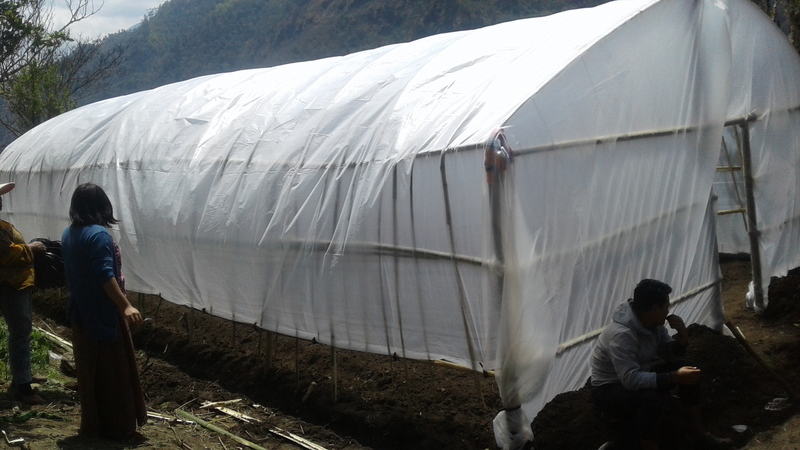 In collaboration with Trongsa Dzongkhag Agriculture Sector, a Green house tomato production training has been conducted at Langthel Gewog , Trongsa Dzongkhag for five days from 1st to 5th April 2019. 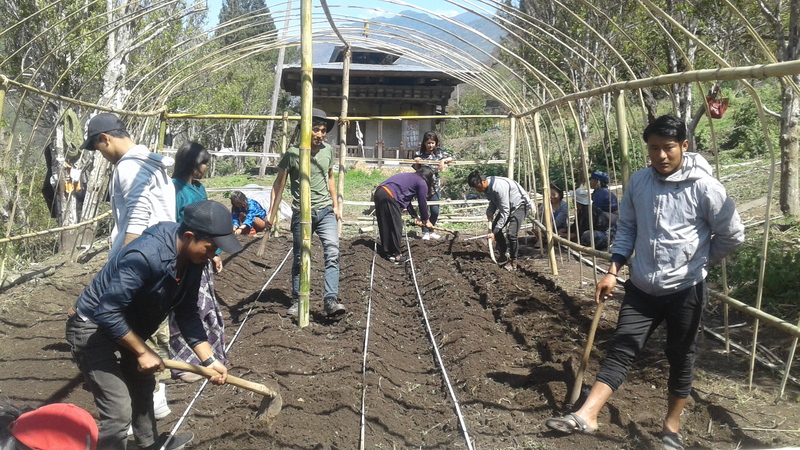 The training was aimed at enhancing the capacity of youths and farmers on protected farming and to promote tomato production in the Gewog. Twenty-eight farmers including youth group from Namthel village has availed the same. The training has been delivered through mix mode such as lectures, group work, demonstration and hand-on practice. 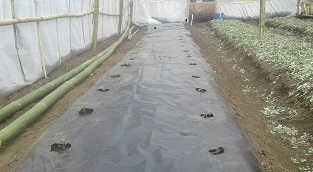 The course covered wide range of topics such as nursery raising, constructing low cost green house, Layout & bed preparation in the green house, Transplanting & mulching, crop management ( training, pruning, staking), and drip irrigation. A low cost green house was constructed using bamboo and the tomato seedlings were transplanted inside. This will serve as a model green house tomato production. Forty participants are undergoing five days hands on training on Floriculture, Propogation and Land Scaping from 1st April 2019. Mr. Tshering resource person from Floriculture and Amenity Landscaping Centre(FALC), Royal Coordinating Project under Agriculture Production Divison, DoA, Dechencholing Thimphu is leading the training.The training aims to equip participants with knowledge and skills in the area of landscaping and floriculture. The participants have been nominated from their designated departments under Zhemgang dzongkhag, who are entrusted the task of carrying out beautification in their identified areas. 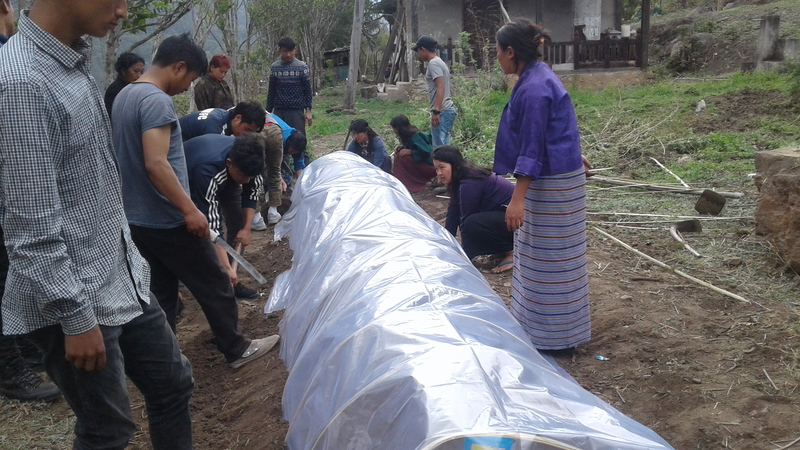 The Mushroom Cultivation training was conducted from 25th to 31st March, 2019 at ARDC Sub-centre, Khangma. There were 41 participants including 11 women participants. 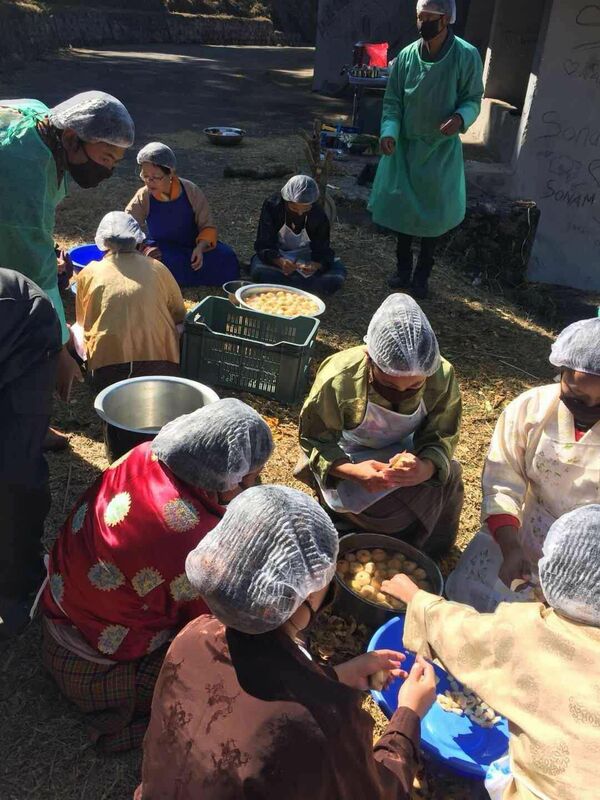 The adult learning methodologies were applied in the whole course of training; consisting of participatory learning exercises, partner learning, maximum practical exercises in the class and in the field. Self directed learning activities were encouraged throughout the training session. Shiitake and oyster mushroom cultivation, starting with growing medium used, materials needed for cultivation and management after and before harvest were thoroughly discussed and practiced. The training duration was for seven days including two days on spawn multiplication and propagation. It was a practical oriented and hand-on training. 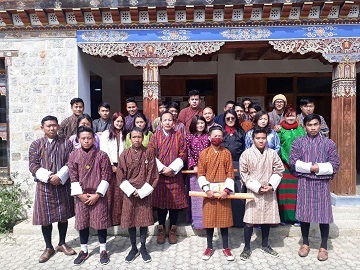 Twenty eight youth from Zhemgang, Trongsa and Wangdue Phodrang are attending Dairy Production Training from 18th February to 6th March 2019. 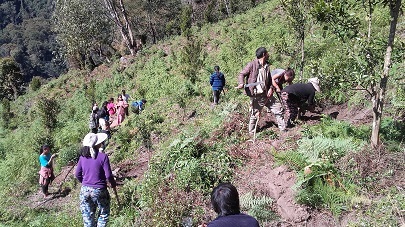 Thirty two farmers from Dakpai under Trong Gewog, Zhemgang Dzongkhag were trained on Citrus Canopy Management, basin making, manure application and mulching from 30th January to 1st February 2019. 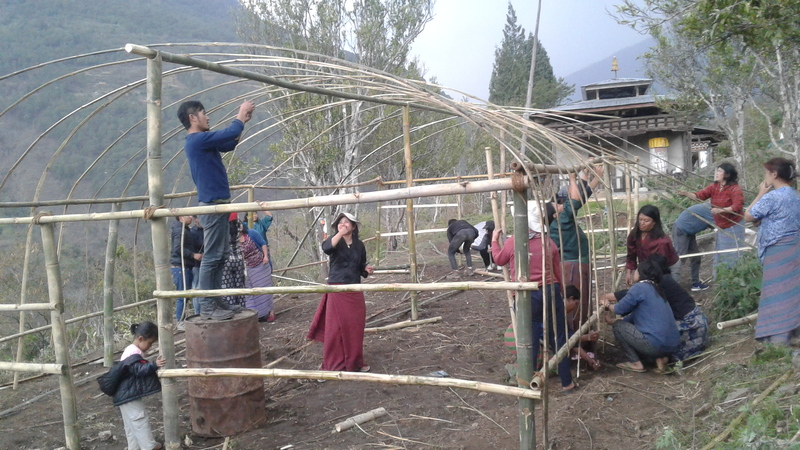 Forty six youth from Sarpang, Dagana, Tsirang, Chukha and Samtse are attending poultry production training from 29/01/2019 to 19/02/19. A week long training on fruit and vegetable processing (pickle, candy, juice) making is underway. 13 participants from Dagana, Sarpang and Zhemgang are attending the program including 2 Land Use Certificate Youth Group from Samdrup Jongkhar. 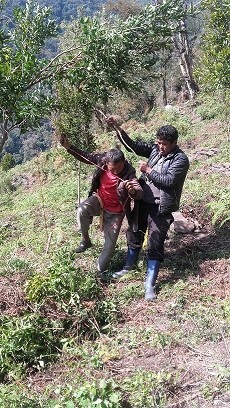 The training is jointly conducted with technical resource from private food processor from Gelephu. Two days training on web administration based on user manual developed by ICTD, MoAF is underway at RDTC . Participant are administrative and technical staffs of RDTC. Besides training roles and functions of ICTD was also shared. A 12 days long Training of Trainers (ToT) on Entrepreneurship Development is underway at Rural Development Training Centre, (RDTC, Zhemgang. The Trainers (ToT) on Entrepreneurship Development is jointly conducted by RDTC, Zhemgang in collaboration with Entrepreneurship and Self-Employment Division under Department of Employment and Human Resources. The training is conducted using CEFE (Competency based Economies through Formation of Enterprise) methodologies covering four modules-( Module 1 – Unlocking competencies, Module 2 – Matching person with project, Module 3 – Business plan preparation and Module 4 – Business plan presentation). 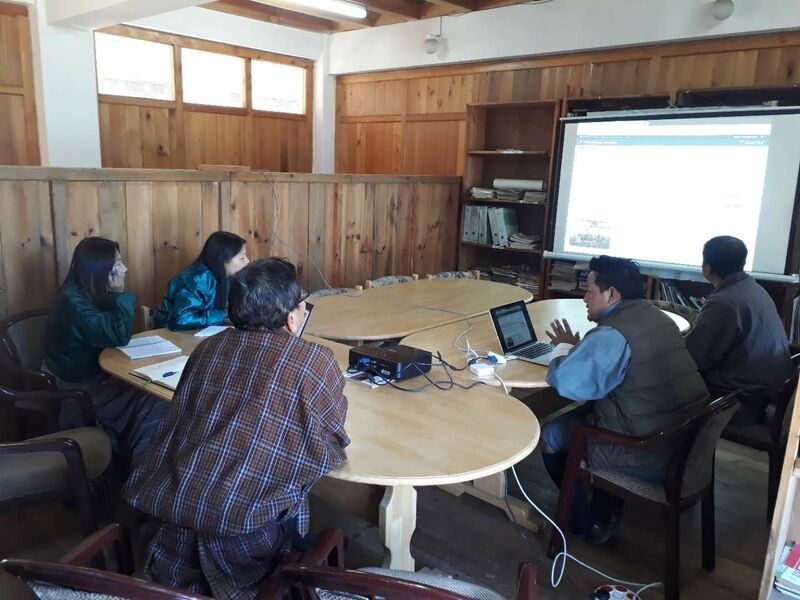 The officials from regional RNR office based at Zhemgang along with Dzongkhag RNR including GAO are attending the Course. The training is aimed at incorporating certain entrepreneurship concept in our training program as well as in the long run to have a pool of entrepreneurship capacity development support service at our regional level. The 10 days winter training on School Agriculture Program has started from 25th December. 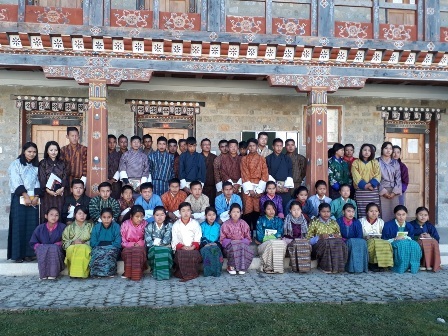 There are 50 students of classes 7 to 9 from eight different schools of Dagana and Tsirang dzongkhag. They are accompanied by two female teachers from Drukjegang Central School and Damphu Central School. 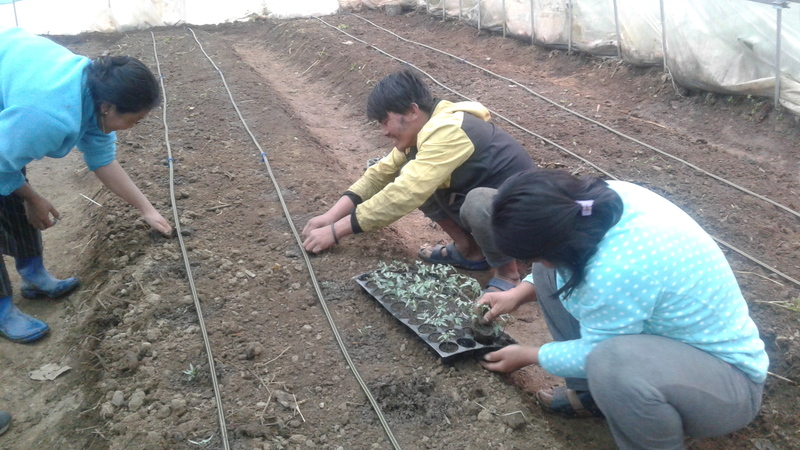 During the course of the training, the students will learn about the integrated farming systems in Bhutan and the importance of agriculture for our economy. Some of them are members of their school agriculture clubs while others have limited knowledge about farming. They will be given both theoretical and practical lessons on the six modules of Farm Business Training and also the basic operation of farm machinery. The five days long training on Economic Analysis was organized from 4th -8th December 2017 for youth entrepreneurs with funding support from the Rural Livelihood Project. 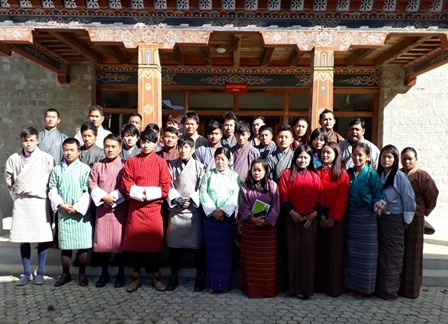 It was attended by 31 participants from the Dzongkhags of Sarpang, Tsirang, Samtse, Trongsa and Chukha. Some of the youth entrepreneurs have already started their livestock farming enterprises and expressed the relevance of such a training to analyze their businesses. During the course, the participants learnt about the basic concepts and significance of economic analysis, finding cost of production, enterprise gross margin calculations and business plan development. © Copyright 2018. Rural Development Training Center | Zhemgang. All Rights Reserved.